Typically, when people hear the word “modesty” they view it in the context of fashion. Many think of it as covering up, hiding, or wearing extremely unflattering clothing. Modesty in its original meaning actually refers to a particular virtue, humility; humility in both character and in conduct. Now, this obviously extends to clothing, but it is much, much more. “…God resists the proud, but gives grace to the humble.” – James 4:6. 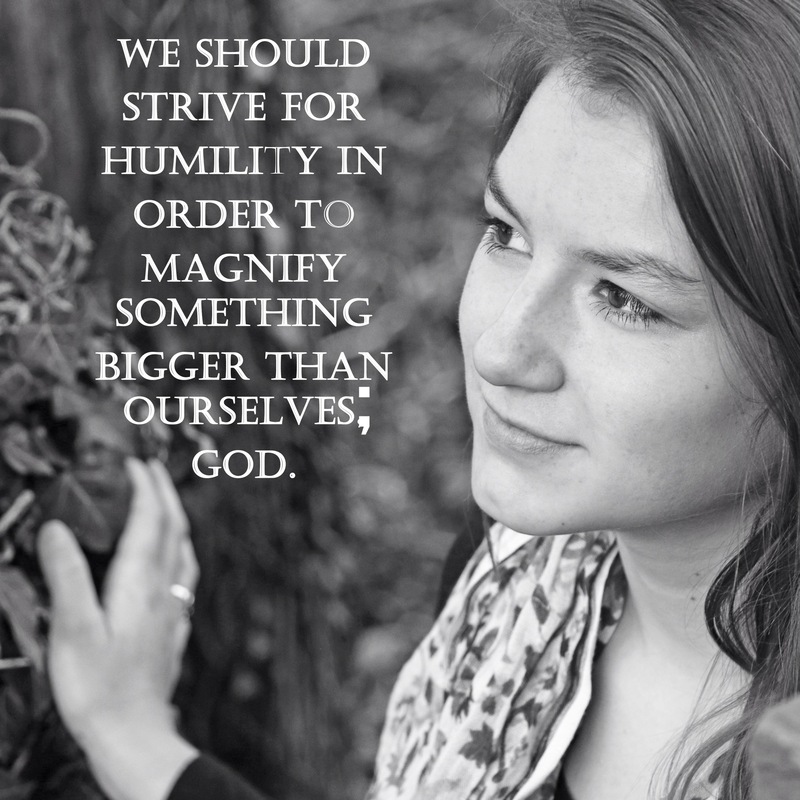 We should strive for humility in order to magnify something bigger than ourselves; God. Ultimately, He is the one who gives us our worth. 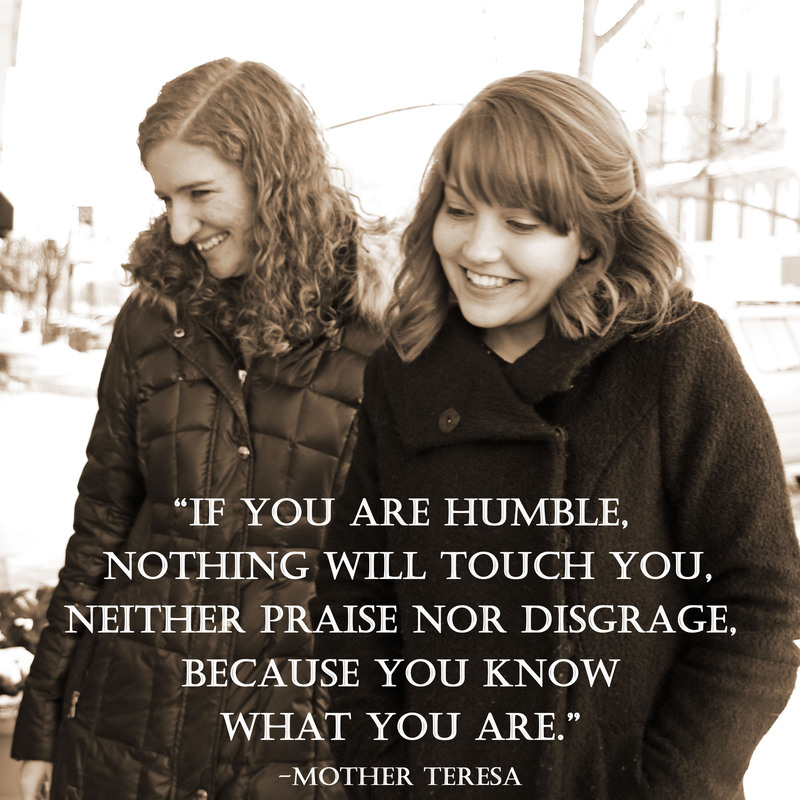 Mother Teresa said, “If you are humble, nothing will touch you, neither praise nor disgrace, because you know what you are.” – and what you are is a beloved child of God by His grace! Without Him, you and I are nothing. With Him, our dignity is restored. We must wear an attitude of modesty in order to acknowledge our beautiful worth in Christ. As I mentioned earlier, modesty does extend to clothing, but it is not limited to outward appearances. The outward expression of modesty in dress should reflect what one is striving for on the inside. 1 Peter 3:3-4 states, “Your adornment should not be an external one: braiding the hair, wearing gold jewelry, or dressing in the fine clothes, but rather the hidden character of the heart, expressed in the imperishable beauty of a gentle and calm disposition, which is precious in the sight of God.” Therefore, the focus is on inward beauty, and dressing modestly is a manifestation of one’s attitude. Moreover, a modestly dressed woman is showing men that there is so much more to her than a body. There are gifts, talents, interests, desires, goals, and a unique personality. There is actual substance. There is a soul. A modest woman should not dress in order to cover up her body because it is something evil; rather, she is clothing herself in her God-given dignity. She acknowledges that she is made for a love so much greater than what the world has to offer. If she wants a man to respect her, she must first respect herself. Modesty is often distinguished as a womanly virtue. However, there are concrete ways that men can practice modesty as well. Men are modest when not drawing unnecessary attention to themselves by showing off (muscles, “toys”, wealth, etc.). Moreover, when men choose to respect women through their speech, through their manners, and through their selfless demeanor, they are exemplifying the virtue of modesty. They are honoring a woman’s God-given beauty and honoring themselves and God. Thanks for writing this, girls. Modesty is a little misunderstood these days, and your article does a great job of explaining that there’s more to modesty than wearing unflattering clothing! God bless you both. Modesty involves much more than just how one chooses clothing. Thank you for explaining modesty so well.